Wondering what to do with all of that garden zucchini? 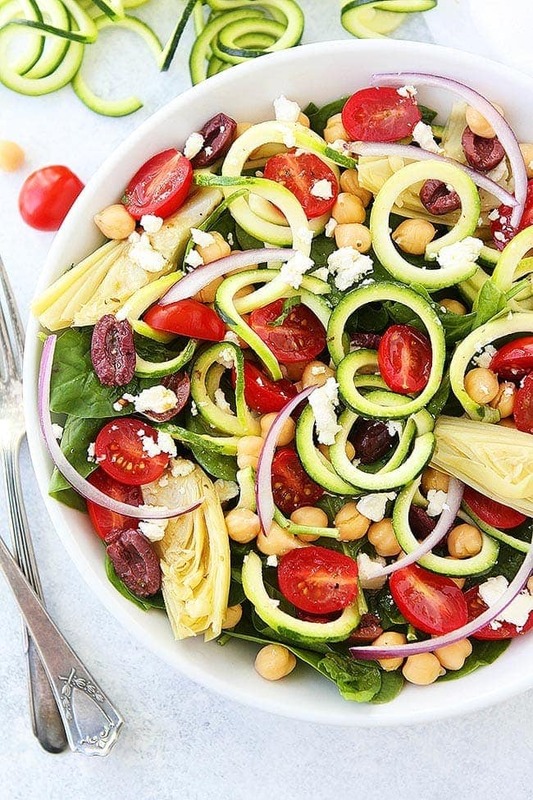 We are coming to your rescue by sharing our all-time favorite zucchini recipes! 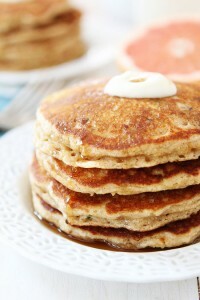 You are going to want to make them all this summer! Summer is in full swing and that means it is zucchini season, my favorite time of year. I love cooking and baking with zucchini, it is probably my favorite vegetable. We always grow zucchini in our garden so we can make ALL the zucchini recipes. If you don’t have a garden, don’t worry, you can buy zucchini at the farmers market, store, or I bet your neighbors have some zucchini they are willing to give to you. Zucchini grows like crazy during the hot summer months and everyone is always trying to share the zucchini love. The smaller zucchini are best for cooking and grilling. If you have a giant zucchini that got too big in the garden, don’t throw it out, use it for baking! Over sized zucchini are my favorite because I LOVE baking with zucchini. 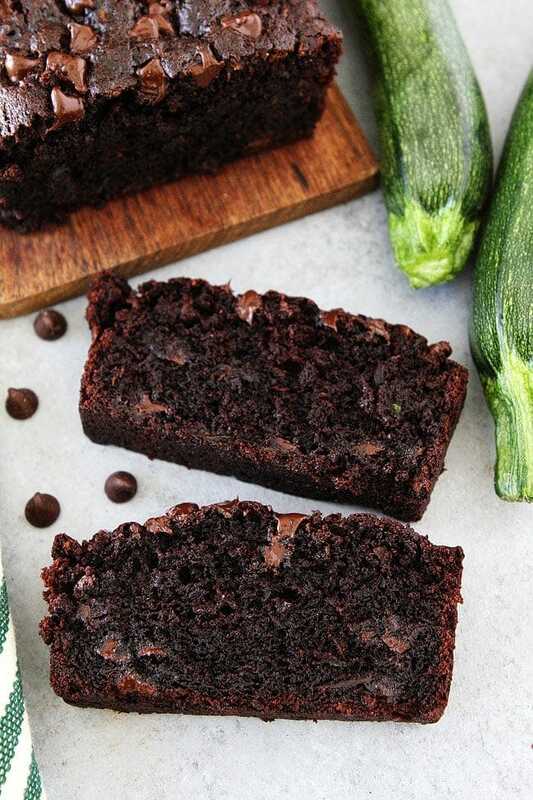 When you put zucchini in baked goods, magic happens! It makes cakes, breads, cookies, brownies, etc. so moist and delicious. To use zucchini in baked goods, shred the zucchini. You can use a box grater or a food processor. I never peel the zucchini first, it is fine to leave on the green skin. 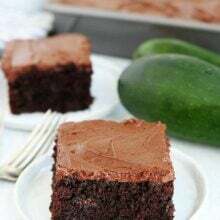 For baked goods, squeeze the liquid out of the zucchini in a paper towel before adding it to your recipe. Zucchini holds a lot of water and if you don’t squeeze out some of the moisture your baked goods might be too moist. I find that garden zucchini has a lot more moisture than store bought zucchini. If your zucchini isn’t that watery, gently squeeze it out but don’t take out all of the moisture. You want the zucchini to add moisture to your recipe. If you have a lot of zucchini and aren’t able to use it all at once, shred it up and freeze it. Squeeze some of the moisture out and place in a freezer bag. Freeze for up to 2 months. To use, defrost the zucchini first, and squeeze out additional moisture, if necessary. If you are wondering what to make with your zucchini this summer, we have LOTS of zucchini recipes for you! These zucchini recipes are our favorite zucchini recipes that we make every summer. Yes, there are a lot of them so we have to get to work! 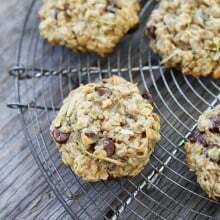 There are sweet and savory zucchini recipes, some healthy zucchini recipes, and some decadent ones too! Something for everyone! What are your favorite zucchini recipes? Let us know in the comments! We are always looking for new zucchini recipes to make during the summertime. We hope you enjoy all of our favorite zucchini recipes! And I have to put a special plug in for my Chocolate Zucchini Bread, if you make one zucchini recipe this summer, make the bread. It is my all-time favorite and it always gets rave reviews! great roundup – perfect for this time of year! Gotta love zucchini! 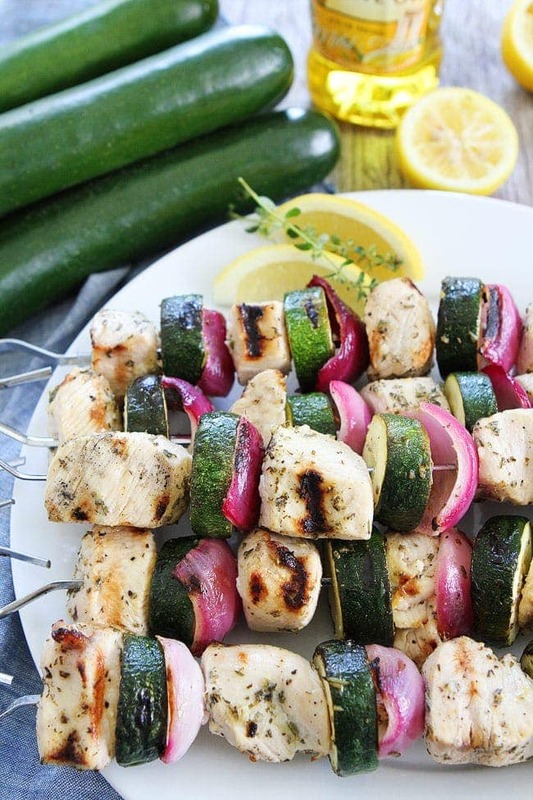 I think I like zucchini in anything…it’s one of those awesome veggies. I can not get enough zucchini right now! Thanks for including the stuffed flowers in your list! Love ya! I’ve been whipping up some new zucchini recipes too. I’ll have to give some of these a try. I love zucchini!! Great recipes, can’t wait to read them all! Thanks for including me! Love all these ideas, I’m such a zucchini lover!! Love all the zucchini ideas! And I’m baking with zucchini today! This is awesome!! I was seriously just putting together the same type of post! But yours is so good I think I will modify mine!! You covered every amazing recipe I can think of. Rock on girl!! more shiny blogs to check out! thanks! Oh great!! Just what I needed with all these zucchinis stacking up in my cellar! Thanks! It’s definitely that time of year! Thanks for including my grilled zucchini pizza! This is a huge help–thank you! Wishing I had a garden and a zucchini plant right now!! Thanks for the link, too! Whole wheat zucchini banana bread! Just remembered! This is one of my favorite recipes – i had to add it to the list! What a great compilation of recipes! Several here that I just have to try soon. 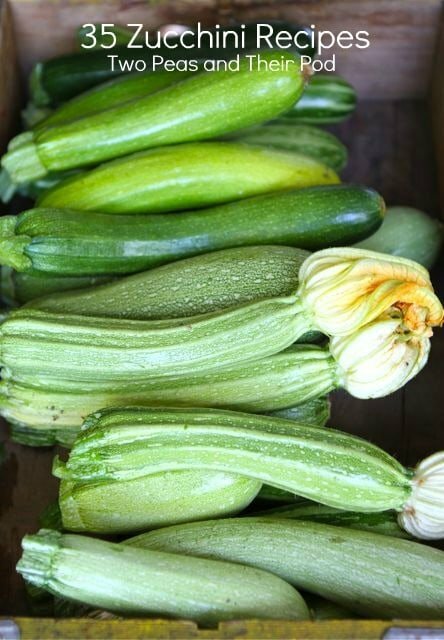 Great round up Maria – I’ve been getting summer squash and zucchini in my weekly CSA Box and trying to come up with new ways to enjoy all of it. Dang, girl! You are the zucchini expert now! You have no idea how helpful this post is for me! Zucchini and yellow squash are taking over my garden…they’re huge and I’ve had a few ideas of what to do with them, but there’s only so much of the same three recipes you can handle. I’ll probably cycle through all 35 of these recipes. Thanks! Such a fun round up. I always have so much zucchini this time of year. I just bookmarked this so I could come back to it when I need some inspiration! Thanks for including me too!! zucchini is coming out of my ears- thanks! LOVE zucchini and I am always looking for more ways to use it! Thanks for the link love too! No recipe link but my cousin recently made zucchini hummus. It was fantastic! 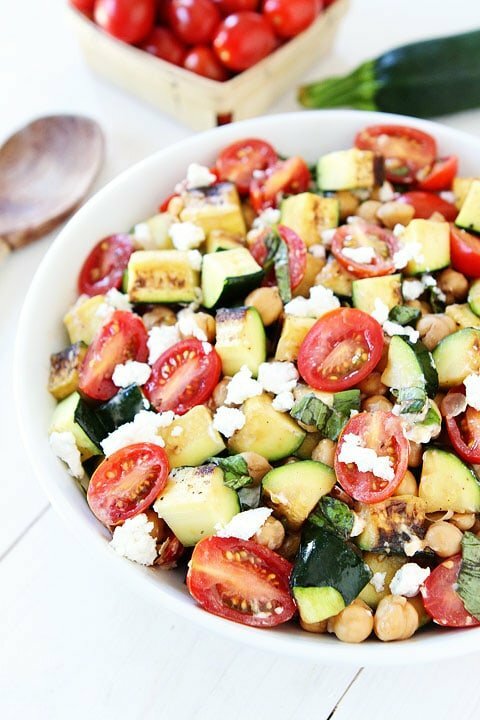 I can’t get enough of zucchini lately and this list packs some serious inspiration! these all sound fabulous! What a great line up! I am always looking for new ways to use up all my zucchini! Thank you for putting this list together! 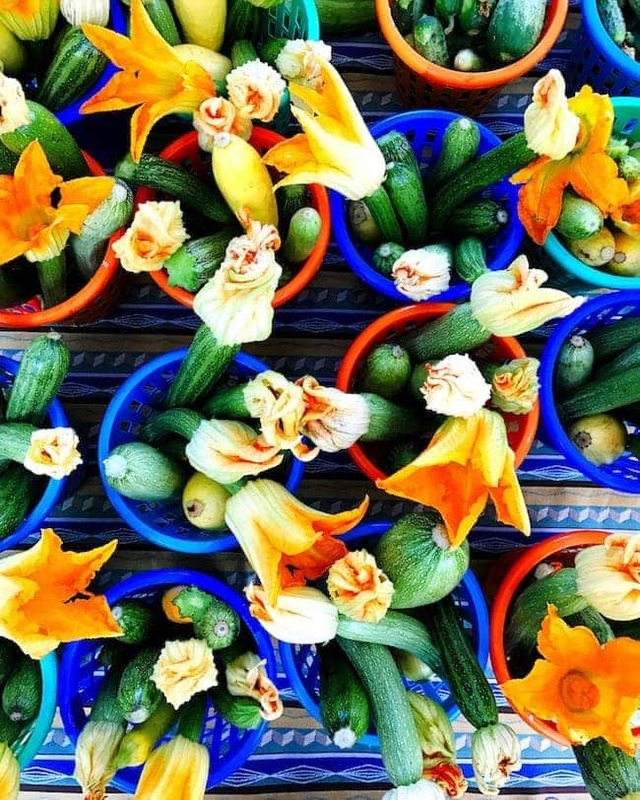 love this round-up…i have tons of zucchini right now! 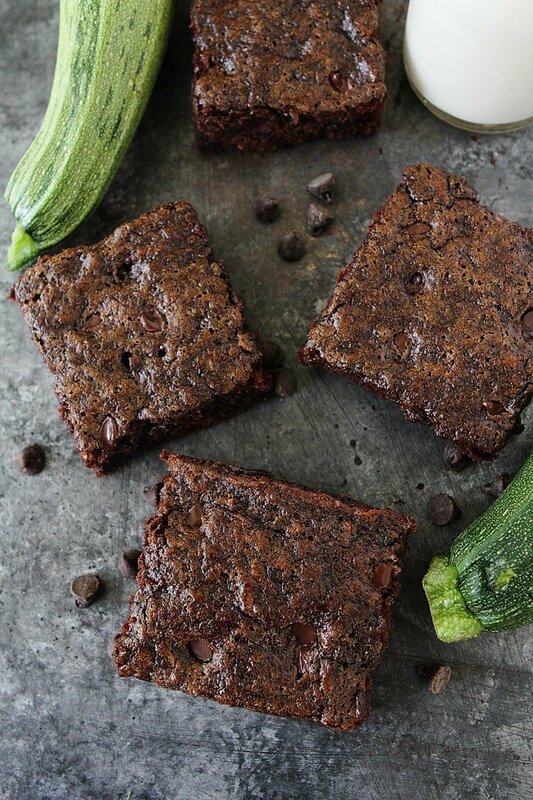 definitely want to try your zucchini brownies! Bring it ON! I’ll take any recipe with zucchini. Yum! This is so fantastic Maria!! Thank you for including me! Thanks so much for linking to my zucchini waffles. It’s true, you can never have too many zucchini recipes in your repertoire! Awesome line up!!! Those all look too good 🙂 can’t wait to try some. I love zucchini, and can’t wait to try some of these. I so wish I had a green thumb and a garden full of zucchini. My mom made a really delicious dish with zucchini and I haven’t made it in years 🙂 maybe it’s time I do. So many to choose from! Great picks and can’t wait to work my way through these! A few years ago a friend of mine gave me a recipe for zucchini jam, and at first I wasn’t sure. After making it, I found it was as good as any of my fruit jams and just as easy. I actually plan on making a batch tomorrow. Thanks so much for this versatile list of zucchini recipes. I can’t wait to try some of them with the zucchini coming out of the garden! I LOVE this list!!! Cannot wait to try so many of them! Always need new ways to use zucchini! One of the few vegetables both me and my husband like! Thanks for sharing! so many great recipes to choose from! I made Zucchini Butter, just use your favor apple butter recipe & sub the zucchini for the apples. I used apple juice instead of water to cook the zucchini in. My daughter’s boss couldn’t believe it. He paid me to make a batch for him. He even supplied all the ingredients too. I made the zucchini coconut bread and it was amazing tasting and very easy. My super picky son and sister in-law were even fighting over it. Entire loaf gone within an hour. I’m making it again VERY soon. I sauteed Zucchini and yellow crookneck added shredded carrots in a little butter and evoo. Then put that over spaghetti. A little Parmesan on top and done. YUM. And thank you for this site I’m gonna try some of these recipes. Thank you so very much for the awesome recipes–I can’t wait to make them–I bring cookies to my domino club games and am always looking for new ones. These sound so great, and were so easy to print off, and are so well written!!! Thank you !!! Thank you!!! Thank you!!! I will repost after I try them out!! I made Zucchini,apple, cucumber bread last season. I basically just use a good Zucchini or banana bread recipe and then add cucumber and apple. I also add brown sugar, vanilla, and cinnamon. I always slice zucchini and sweet onions, and halve grape tomatoes…throw them in a skillet with butter, salt, and pepper. Cook till tender. Delicious! Although we are not making it this year( we have enough from last year) zucchini relish and zucchini bread and butter pickles are a good way of using them up too. do you have a recipe for Zucchini Lasagna? No, I need to make one! For a zucchini enthusiast like me, this goes right to the fav bar. 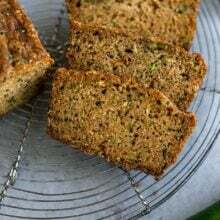 Pingback: Zucchini Bread - Recipes, Cooking and more! Tried your zucchini banana bread recipe today. We liked it, had to take it out 10 minuted sooner because it was done. Would not squeeze zucchini next time, little on the dry side and add another banana, will make again! Wowza! 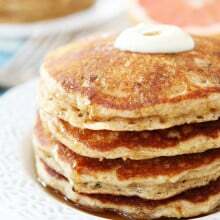 Great recipes- thanks so much for sharing ! Did you know you have a typo in the 2nd sentenace of your 2nd paragraph? It says ‘backing ‘ and should read baking. Thought you might want to know! So sorry all- I mistakenly spelled ‘sentence ‘ in my comment. That’s what you get when typing on a tiny phone! Happy Summer! Thanks. I would really like a nice baked zucchini recipe such as maybe a quich. I really need recipes for potlucks. 9“ x 13“ pan’s work out great for this stuff. Your family really needs a outside shower! I just love the pictures of the boys Caleb and Maxwell covered in mud. Or when they’re all sweaty from hiking . Lots of description but I cannot find the recipe! Ham zucchini chowder. My favorite. 1/2lb ham chunked into small cubes. 2 small zucchini small cubes. 1 large onion diced. 2 heaping Tbls. flour, 4 cups water. I can of evaporated milk. 1 small can diced tomatoes, or fresh. 1 cup frozen or fresh corn. 1t Basel 1t parsley 2 cups shredded chedder cheese.1 Tbl sugar. Saute ham, zucchini and onion in butter. When zucchini starts to soften, stir in flour mix well, add water, bring to boil, then turn down to simmer 10-15 min. Add can milk, corn and tomatoes. Spices and salt & pepper to taste. Just before serving add sugar. Stir cheddar cheese in individual bowls. Several recipes I’m looking forward to using~ have you ever enjoyed Zucchini Flowers?